NOTE: If you currently have a FREE Membership and would like to upgrade to take advantage of one of our Paid Membership Offerings please click here to email us and we will upgrade your listing and invoice you for the required amount. All members receive our weekly 'Veterinary Community Connection eNews' packed with the best resources and information we've collected during the week. You'll also be the first to find out about special Member competitions, offers and discounts as they become available. 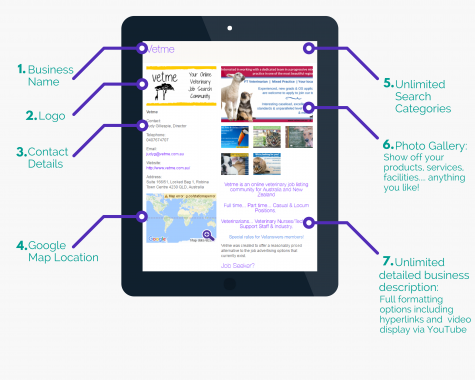 Our monthly B2B eNews will include all the best resources and information we come across that are relvant to the specific needs of businesses whose clients are other businesses. 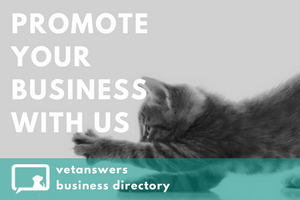 We welcome every business who joins the Vetanswers Business Directory in an edition of our weekly Veterinary Community Connection eNews and share that welcome across all of our social media channels. We also add in a special thank-you for supporting our Community. Take part our guest blog post series '3 Things I bet you didn't know about...' -a great way to share more information about your business and how it can help our Members. Once published your Guest Blog Post is featured in an edition of weekly eNews and promoted on our social media platforms. 5. 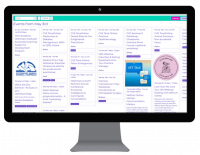 Free Membership 12 Month Business Directory Listing includes..
Share your story with our Community and help them gain a better understanding of your business. Stories can help in shaping our attitudes, beliefs and behaviours as well as providing an excellent opportunity to connect with your future clients in our Community. Once published your post will be featured in our weekly Veterinary Community Connection News and promoted via our social media platforms. Submit quality posts in your area of expertise to the Vetanswers Blog and we will publish and promote them for you. 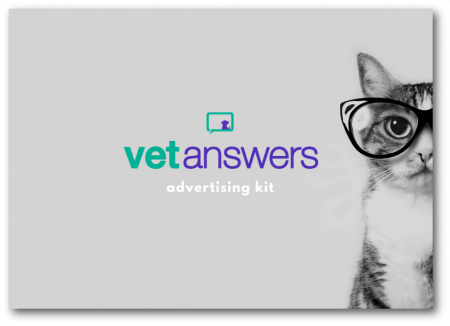 Take the opportunity to write posts answering FAQ's, detailing interesting case studies and explaining how your products and services can solve problems that our Members working in veterinary practices are faced with every day. Twice a year you have the opportunity to feature one of your products or services in our Featured Product section on our Home Page. Clicking on the MORE arrow beneath the snapshot leads interested clients to a full page of relevant information on your Featured Product. We'll also feature your chosen product in our weekly Veterinary Community Connection eNews and across all of our social media platforms. Our aim is to help you engage with the Members of our Community who will most benefit from your products and services. We're happy to announce and promote new products or offerings and will also be in contact with promotional ideas and opportunities throughout the year. 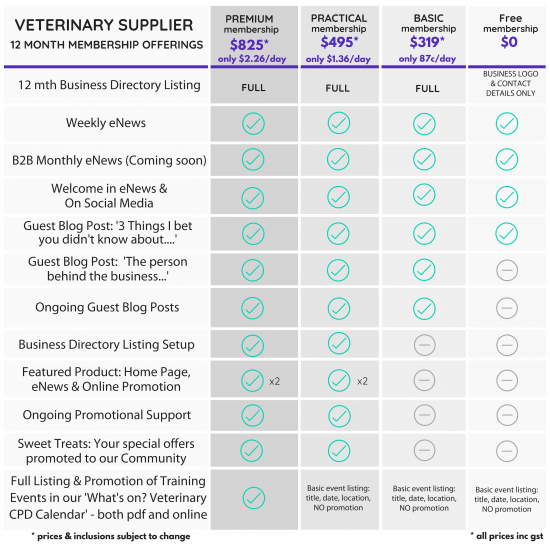 Our Community love Competitions and Special Offers and we're more than happy to promote them via our weekly Veterinary Community Connection eNews and on social media platforms. Offering limited opportunities and offers is a great way to entice our Members into wanting to know more. 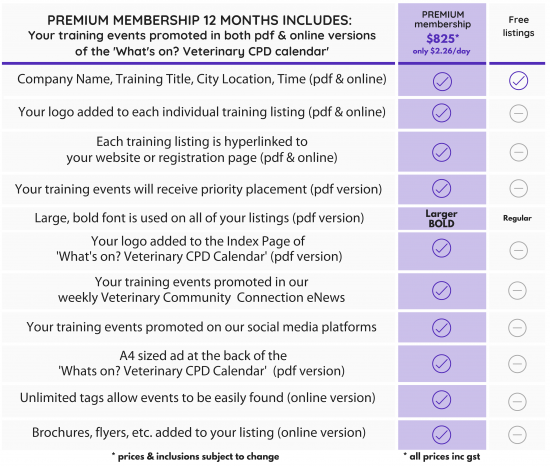 If you offer any training events to the veterinary community then you need a paid listing in the 'What's on? Veterinary CPD Calendar. 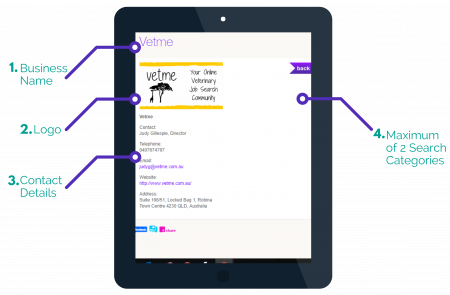 It's the ONLY veterinary CPD Calendar that includes ALL of the training on offer for EVERYONE who works in the Australian veterinary industry. A comprehensive, fully searchable online version.